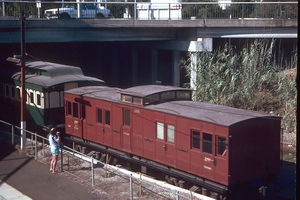 Standard goods brake van with passenger compartment each end and a centre cupola. Load 8 tons freight and 20 passengers. Standard goods brake van with passenger compartment each end and a centre cupola. Load 8 tons. Built Islington Workshops. 1975 To State Transport Authority of South Australia. 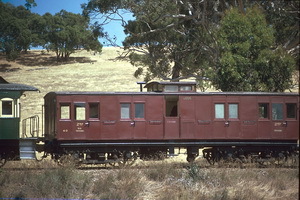 - Transferred to Port Dock Station Railway Museum.